INDUSTRY.co.id - Jakarta- Alumni Presidium 212 expressed political stance by supporting four figures as presidential candidate (presidential candidate) and vice presidential candidate (vice presidency) of the Republic of Indonesia period 2019-2024. The support was delivered directly by the Chairman of Alumni Presidium 212 Aminuddin in a press conference held in South Jakarta area. 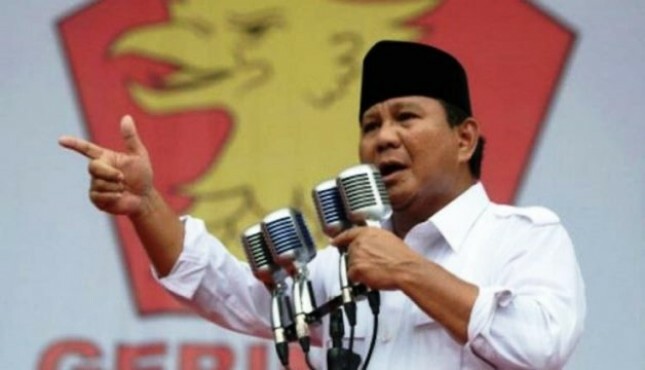 According to him, four names were carried, among others Prabowo Subianto, Yusril Ihza Mahendra, General (Ret) Gatot Nurmantio and Anies Rashid Baswedan. "The support we provide after observing the latest political dynamics related to the activities of Ijtima Ulama and National Figure and the closer the registration time of the candidate-presidential candidate," said Aminuddin. Furthermore, he said the determination of the four names as presidential candidates RI 2019-2024 was done with a variety of considerations. "One of our considerations is the weak financial management of the country and the swelling of foreign debt, so it can be ascertained that Indonesia's economic condition will decline," said Aminuddin. In addition, he said it also assesses the control of natural resources by the power of foreign investors currently has led to the results of natural wealth flowing into the coffers abroad. "Finally, we see the number of unemployed in Indonesia is increasing, but ironically, unskilled foreign workers also continue to fulfil employment in Indonesia," said Aminuddin.